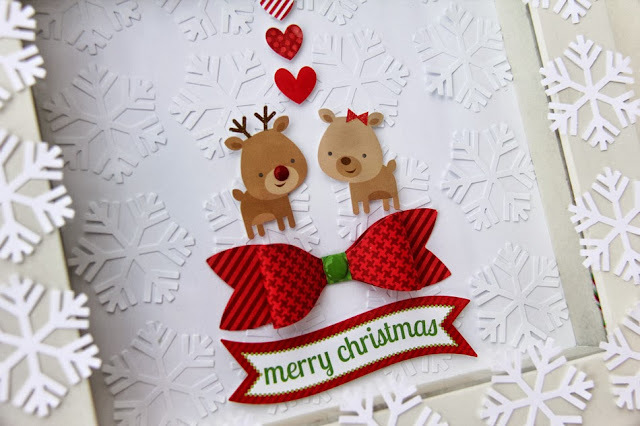 Are you excited to start decorating for the Holidays yet...I'm talking RED and GREEN?!! 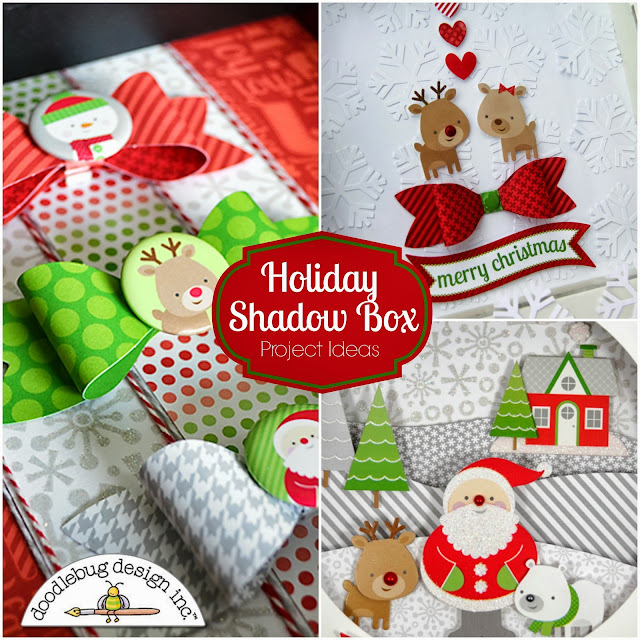 Well I cannot wait and these darling projects featuring the Doodlebug Shadow Boxes and Home for the Holidays Collection have me super excited. Which one do you like? 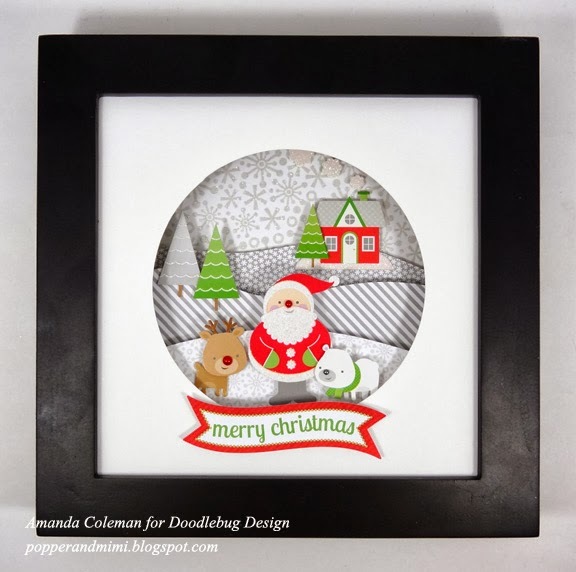 I absolutely loved using the Shadow Box to create some Christmas Decor! I love the two little reindeers, and knew they would be the focal point of my project! 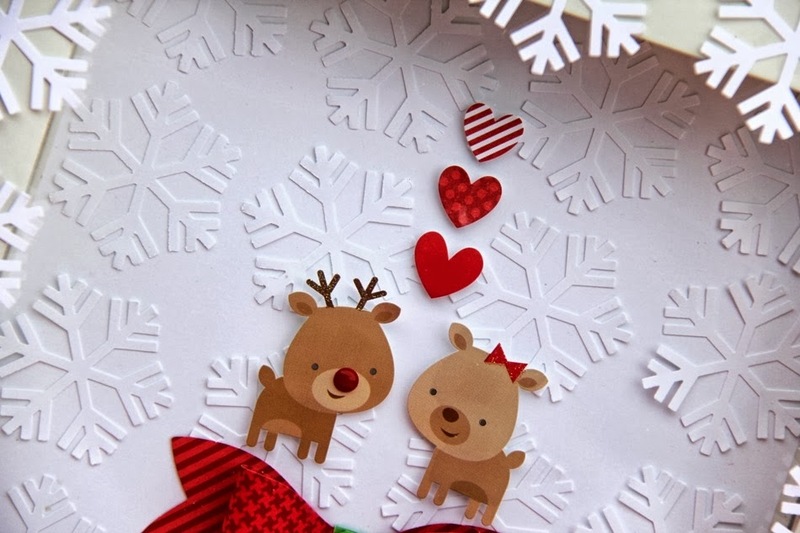 By added some snowflakes on white cardstock it creates a subtle snowy background. 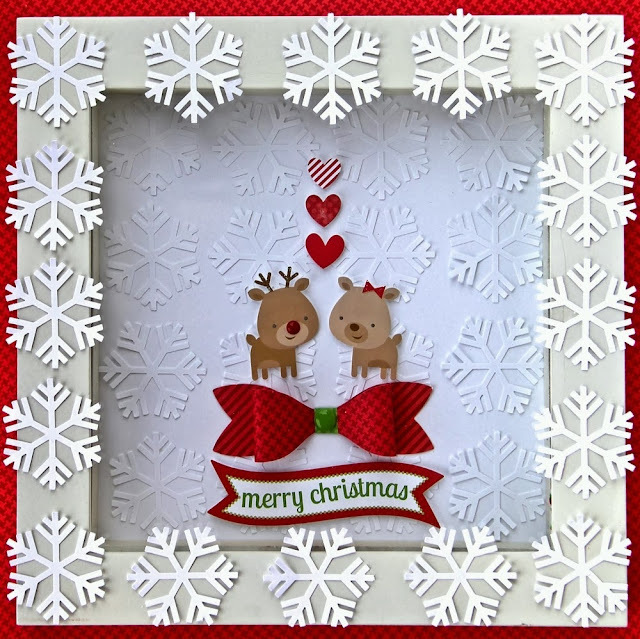 I added snowflakes around the frame for some extra snowflake fun. I'm just loving all these shadow boxes!!! Fabulous work, guys! Wow, these all look so good!! All simple yet make a definite statement for the Christmas holidays!! Love what you all have done!! These are so cute!!! 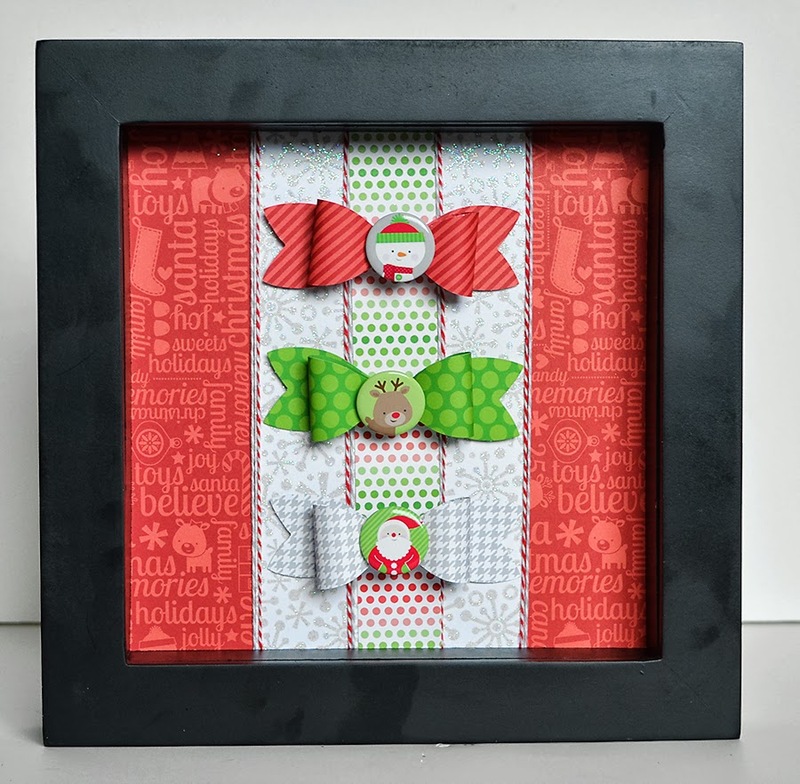 I've never thought to make a shadow box....maybe now I will. Thanks for the inspiration! 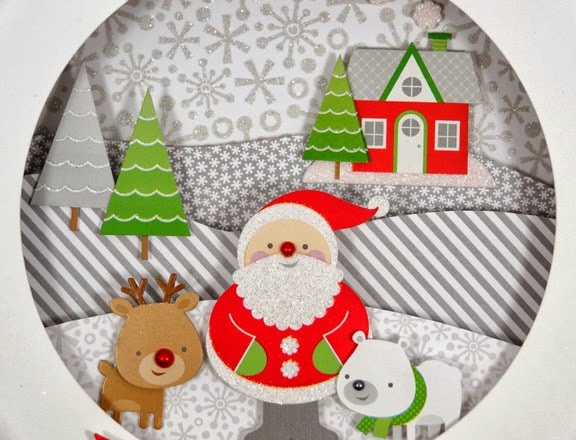 Excellent touch for this next holiday decorations.....................Love therm all. these are so cute!!! I love them all!!! My favorites are the bow trio and the snowflake. 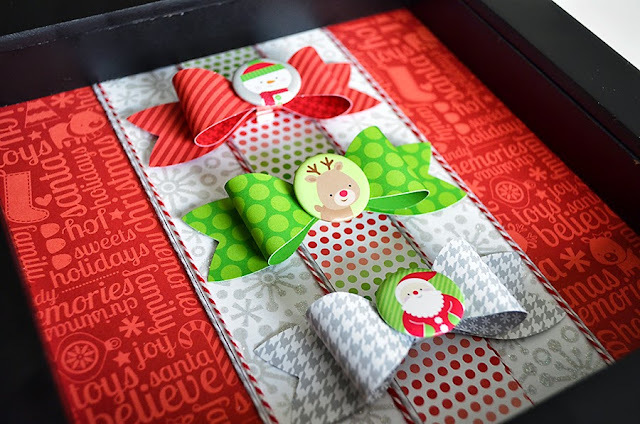 I Love Christmas and these are all great ideas! Oh wow!! These are stunning!